Fix My Hog started in 2004 selling DVDs to riders that wanted to know more about their Harley. 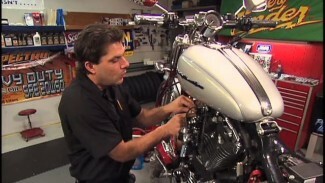 Today we are still passionate about sharing over 35 years of Harley wrenching experience with our viewers. We continue to produce DVDs and we added our online video platform that hosts all of our great videos in one place. We noticed that as we grew and added more information to our website that our customer service team were getting more questions about how to find videos on the site. We put this video together to show visitors how we categorize the site, the different options on how to use the site and how to search the site. Watch the video and take us for a test ride. I’m sure you will find plenty of information via videos, articles and tech Q&A for your Harley. Although the videos are very helpfull for most! I think it may be a good idea for members to be able to add the year, make, and model of their harley davidson, and the site could offer the spicific info, videos, and tech support? If this is already offered? Then I’m having a navigation issue. A response, or any type of feed back would be awesome! Thank you for your comment. We do try and cover the differences on the Evo, like calipers, drain plugs and other areas. Please review the Evo differences in the Touring Maintenance category. We also cover Evos in the upgrades and the classes. Also check our this video on navigating the 80+ hours of content on the site. It’s a lot and we try and make it sortable. Hi, I own a 2016 FLSTC and can’t find anything on removing the rear shocks or the front forks. Both items are a bit different to the usual run of the mill. Do I have to take off the headlight to remove front chrome shroud etc??? Cheers, David. Hi David. Here is a video that shows front fork removal. And here is a good view of a typical touring rear shock assembly. Hi, Donald. Please contact us at 1-855-231-0653; our Customer Service Team would be happy to assist you with your account. If you value your payment information, I would seriously discourage anyone from purchasing a membership to Fix My Hog. I cancelled my membership and the company continues to charge my credit card. It is extremely difficult to find how to cancel as anyone can see. I think this reflects on the business and I find this practice highly unethical!!! VERY DISPLEASED!!!! Hi, Roberto. We are sorry to hear you are experiencing issues. Here at FMH, we strive for 100% customer satisfaction and apologize for any inconvenience. Please contact us at 1-855-253-0822; our Customer Service Team would be happy to sort this issue out with you. Ticket 18135 I am having issues with my 91 FLHTCU brake lights, turn signals, tach, cruise control, radio, CB not working… one suggestion is to replace the Accessory Fuse… my question is… Where is the Accessory Fuse located at? That fuse is located behind your outer fairing. 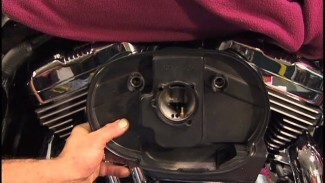 With your fairing removed, you will have access to a majority of your bikes breakers & plugged connections.